Description: PID and PFD templates and examples available at Edraw. Download free for immediate use or modify instantly using our tools. 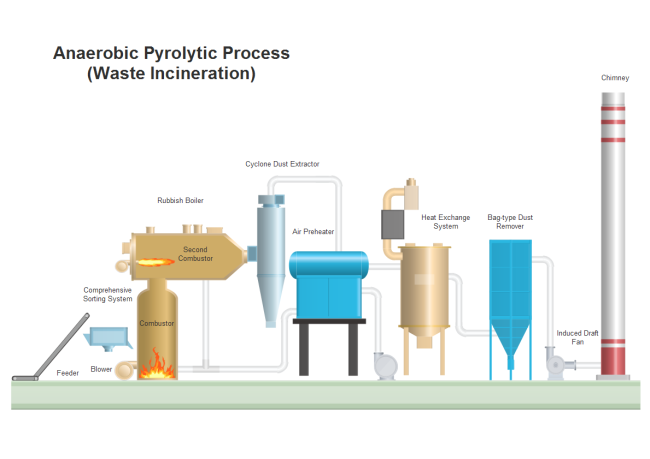 Here is a simple anaerobic pyrolytic process example created by Edraw Max, which is available in different formats.